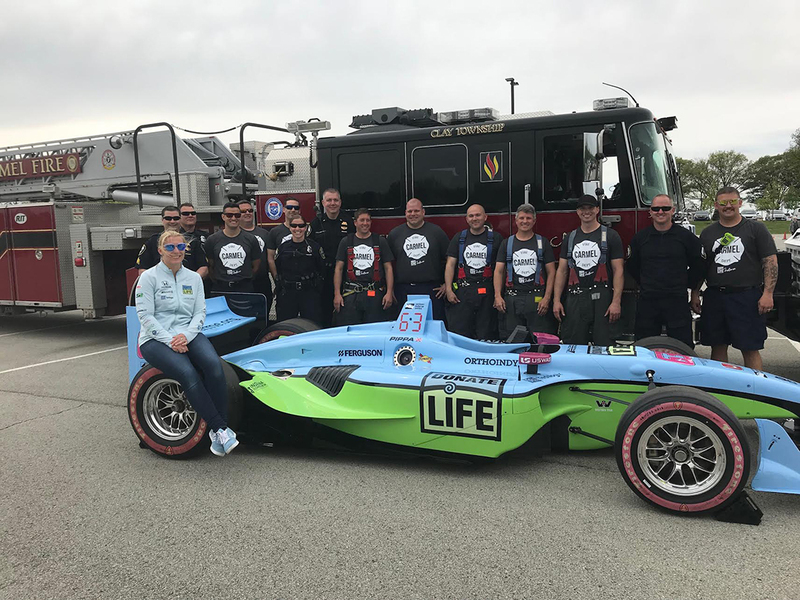 Pippa Mann pauses with members of the Carmel police and fire departments. 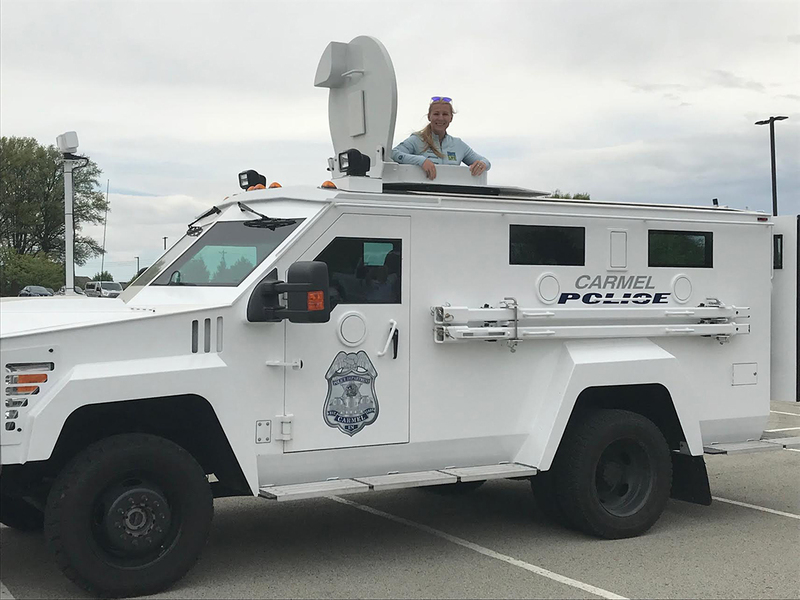 Pippa Mann checks out the CPD S.W.A.T. vehicle that she drove through a course in the parking lot of Northview Church. Pippa Mann pauses with CFD engineers Scott Stroup and Dan Edwards, who assisted Mann with maneuvering the fire engine throughout the course. For information on registering to become an organ donor, visit donatelifeindiana.org. 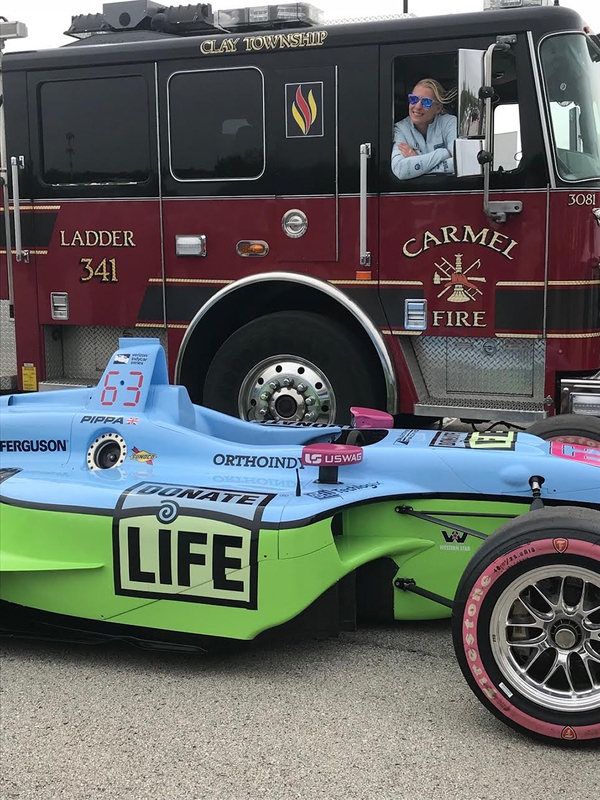 IndyCar driver Pippa Mann tried her hand at steering a Carmel Fire Dept. fire engine and Carmel Police Dept. SWAT vehicle May 9. 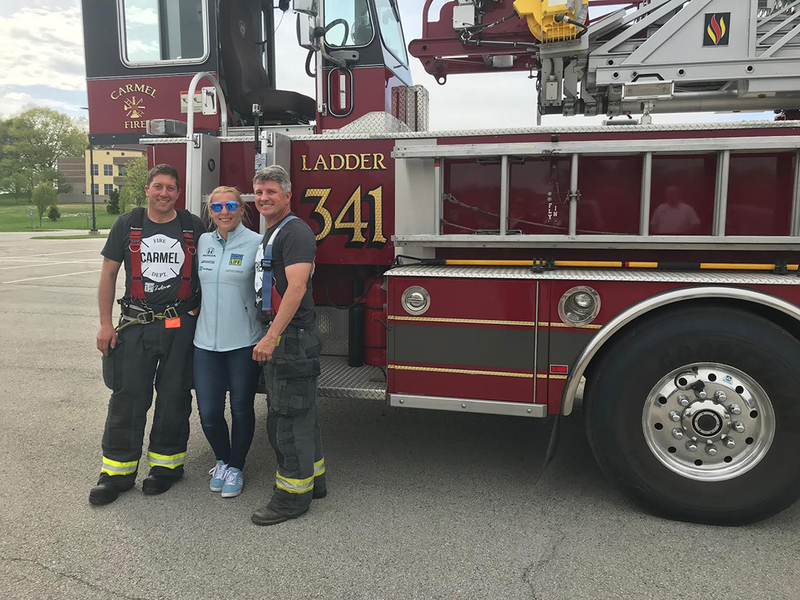 She drove the vehicles through a course in the parking lot of Northview Church to help raise awareness for Donate Life Indiana and to encourage teens to become registered organ donors.